Rece ntly Justine Timberlake toured the talk-show circuit to promote his new 20/20 Experience (part 1) CD. I don’t know much about Justine Timberlake, but have learned a few things since he started his promotion tour. This was his first CD in 7 years. Along with writing and performing his own music, he has been busy making movies, starting a clothing line, doing various TV appearances and hosting various music event, co-owns three restaurants, etc. 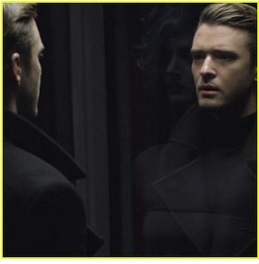 With this minimum information, it seems to me that Justine Timberlake is constantly re-inventing himself; is well blended; and is future focused. His professional and personal life seems passionate, diverse and deliberate. Whether people interacted with him on Start-Search, The New Mickey Mouse Club, N-Sync, promoting his various albums, working on his various movies and outside interests – most describe him as a perfectionist that doesn’t seem to work hard at it. One person described him as “One take Timberlake” because he seems to do things perfectly and easily the first time. He also draws influences from various other artists on his different albums like: Michael Jackson and Stevie Wonder (on his Justified album); David Bowie and Prince on FutureSex/LoveSounds, and other various artists. 1) Be open to various coaches and influences that you connect with. Look for people that are where you really want to be, and investigate mentor or coaching opportunities. Select several mentors for different attributes. One person will not be a perfect coach for all your desires. Select on mentor to help your with marketing and promoting yourself; select another for your financial goals; select another for your technical expertise, etc. 2) Constantly look for the ‘next opportunity’. And it doesn’t necessarily have to be in your professed field. Justin opened himself not only to movies, but clothing lines and restaurants. In our case, take a look at adjacent roles and positions – as well as the jobs exactly in our defined field. For instance, if you are a programmer, look at positions in the testing fields, technical support manager positions, business analysts, etc. 3) Share your wealth. Like most successful people, Justin focuses his charitable efforts in many directions from the Justin Timberlake Shriners’ Hospitals for Children Open (celebrity golf events), Wildlife Warriors (for animals), and various music foundations and music education programs in his hometown of Memphis, TN. We often do not have the same amount of funds to our disposal as most celebrities do, but we can volunteer our time and attention to our favorite causes. Select an organization that can promote you forward as well. For instance, if you are a web designer, volunteer to create websites and web pages for your favorite causes help both you and the organization. Surround yourself with the people you want to work with. If you want to promote yourself as Project Manager Extraordinaire for the elite and millionaires, volunteer to facilitate a high-profile charity retreat or function that they are known to engage. 4) Pursue other things during breaks and hiatus. During a hiatus with N-Sync, he created his own music and album. During a short break in touring, he did movies, etc. When you are in a gap (for example between jobs), take classes; volunteer for other organizations; consult for other people, etc. If you have a comfortable 8-5 job, use your leisure time to learn a new craft or start a new endeavor. If you are currently working 80 hours at your current job, work on your time and project management to get it down to a reasonable level — so that you have the space to expand. Often times you need to let go of the “good” to allow the “great” to emerge. Start making the space for the great. 5) Don’t forget where you came from. Memphis, TN is often a home base for Justin’s tours and charitable focus. Add family and community to your imperative list. Schedule time in your calendar for your family and community. Integrate and blend community projects into your organization or company. Find a way to interpret your company’s mission statement to include community awareness. And I guess the most important is to not take oneself too seriously. We are all human and will have our inevitable speed bumps along the way. If we just keep truck’n, we will eventually get someplace. vConferenceOnline.com/Bits on the Wire, Inc.
Have that one project that you have been stalled on? Need objective eyes on your problem? Need just a different way to look at the solutions? I have helped people on a per project basis. For example: mapping out the pros and cons of two job offers; revamping their resume to attract more corporate interest; managing their boss; and narrowing the direction of their next steps. I have reasonable rates for per project consulting. No long contracts and discounts for continued enrollment. Excellent post. I was checkiing onstantly this blog and I’m inspired! for a long time. Thank you and god luck.